Deep down, doesn’t everyone want to live in Mitford? The charming, quirky North Carolina town created by Jan Karon is beloved by millions of fans, who were heartbroken when the #1 New York Times best-selling author announced she was ending the much-loved series with novel number nine, A Light from Heaven. True, the engaging main character got his own series, one that took him to different locales, but it just wasn’t the same. But if the Mitford series taught readers anything it was that there is always hope . . . and fans can rejoice: in Somewhere Safe with Somebody Good Father Tim and Cynthia are back home where they belong. 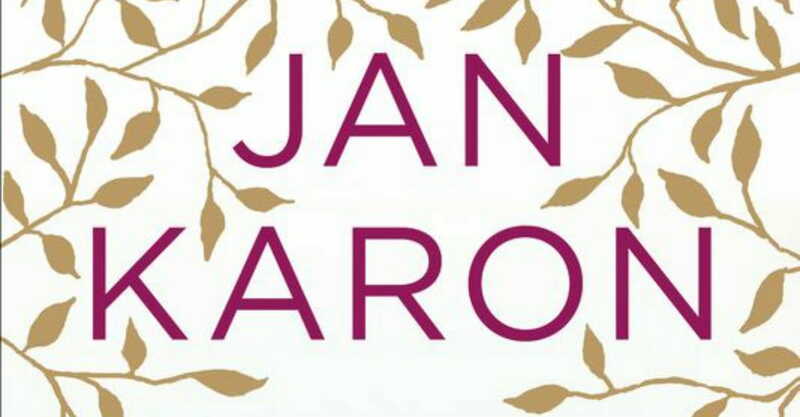 Much like best-selling Irish author Maeve Binchy’s tales, Karon’s books are celebrations of small pleasures; the everyday miracles of ordinary lives. But in Karon’s case, every pleasure is a gift from the Almighty and the miracles her characters experience are recognized as acts of God. When it comes to weaving authentic, deep faith into a novel, nobody does it better. Her characters—and they are many—are unique, flawed humans all in different places on their physical and spiritual journeys. As with all the Mitford titles, Somewhere Safe with Somebody Good is a comforting story so full of storylines it all but defies description, but here’s a start: Recently returned from Ireland (In the Company of Others), the retired Father Tim finds himself at loose ends. An unexpected opportunity to man the counter at the Happy Endings bookstore proves you can take the priest out of the pulpit but you can’t take the minister out of the priest. Never before has the store’s poetry corner seen so much prayer. Plus there’s a campaign in the works with Father Tim’s name on it, new arrivals in the town’s business district, all the usual characters running in and out of the story, and a question from the pages of the Mitford Muse: Does Mitford still take care of its own? With so many characters in the works the point of view changes in the blink of an eye (something that may take Mitford newbies a little getting used to) but keep reading and all will become clear. While some knowledge of Father Tim’s history is certainly helpful, there is enough explanation along the way to keep new readers from being hopelessly lost. A new Mitford book is a treat not to be taken lightly. For the optimal reading experience some preparation must be made: you’ll want snacks—preferably Cynthia’s lemon bars or Esther’s famous OMC (Orange Marmalade Cake), a hankie, and a highlighter. The snacks will help keep hunger at bay as you follow Father Tim from one delicious meal to another. The hankie will surely be needed to wipe away a tear or two. You’ll want the highlighter to mark Tim’s exquisite prayers, a collection of quotes sprinkled through the story, and bits of beautiful prose to refer to whenever comfort or congratulations are in order. Readers may not be able to move to Mitford permanently, but this deeply satisfying story is a good, long visit.